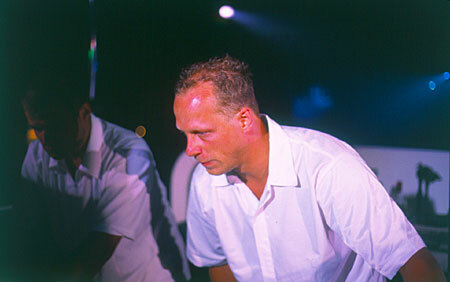 Piet Bervoets, the name synonymous as a household name around Europe for his work with fellow producer Benno de Goeij amongst others has been producing and remixing for much of the past 5-10 years. His breakthrough came under his production guise R.O.O.S. with Carlos Resoort and Benno, with this came "Instant Moments" which recently also saw a 2002 re-release with a nice Airwave Remix. Having produced with the best producers in the industry, such as Ferry Corsten, DJ Tiesto, Carlos Resoort, and Benno de Goeij, Piet is no newcomer to the scene, and his production guises under R.O.O.S. with Rank 1 have put out some of the best remixes and productions in the trance / dance scene. With his and Benno's recent Symsonic album release under Rank 1, they look to be putting out more and more top notch productions this year!